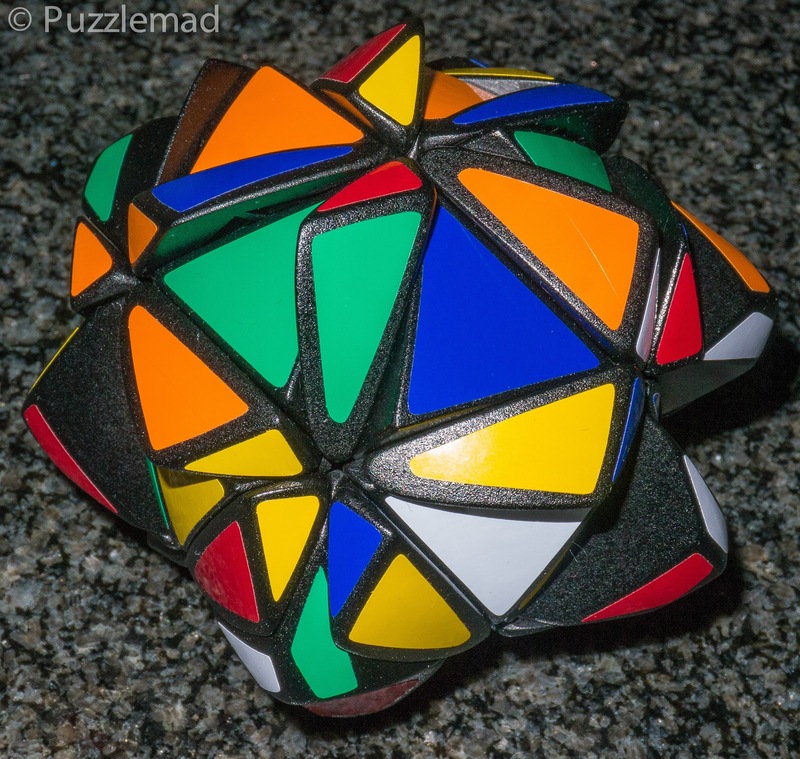 Puzzlemad New Additions: Dear Lord! What have I done!!! Dear Lord! What have I done!!! Some time ago I received the hexaminx crystal from Traiphum. It has sat on my shelf sneering at me for quite a while. But he only made 3 and I feel slightly guilty for not playing with it so I finally "screwed my courage to the sticking-place" according to Lady Macbeth and did the dirty deed. I have some serious reservations as to whether I can solve it! Looks OK doesn't it! What is it I hear you say? I often hear voices! 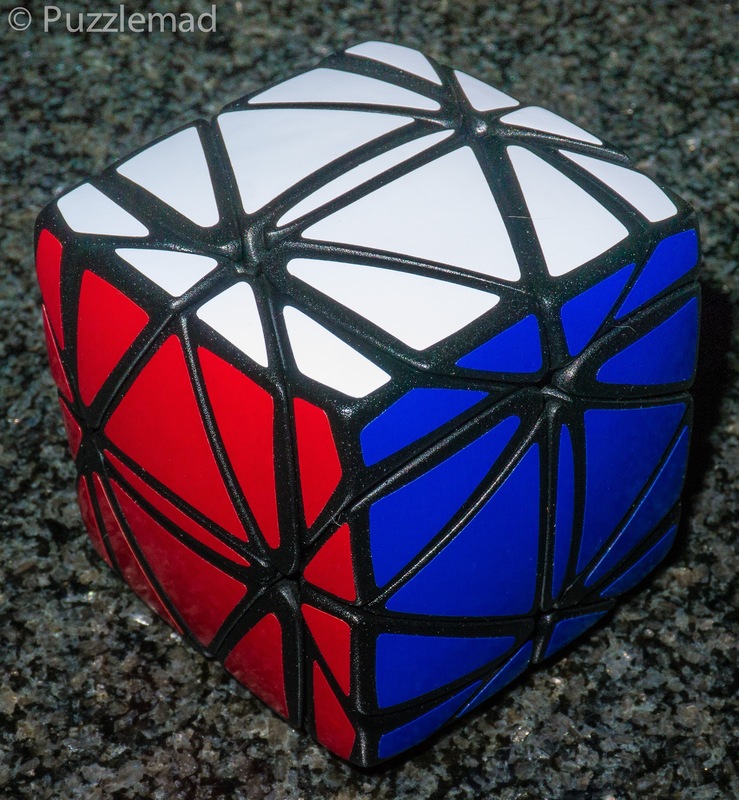 It is a hand made modification - a cubic transformation of the pyraminx crystal (a deep face turning dodecahedron).